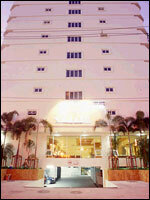 Sunshine Vista is the executive serviced apartment in the heart of Pattaya, located in Soi 3, Beach road. Its prime location in town, just 200 meters from Pattaya beach and only 100 meters from Big C Superstore (Central Festival Shopping Center) makes it an ideal and convenient accommodation. 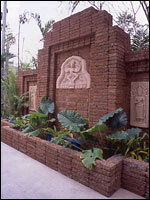 All rooms’s rest rooms have separated bathtubs and shower rooms and equipped with standard hotel’s facilities such as air-conditioners, bath rooms with hot and cold water, TV with international programs via cable TV over 40 channels, mini bars with refrigerators, IDD telephones and in room electronic safes. All units have private balconies and are equipped with standard hotel's facilities and fire safety devices, such as smoke detectors and sprinklers. 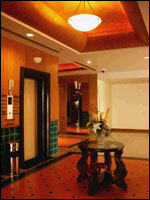 In room electronic safes are provided for your convenience and safety in all rooms. Bath rooms have separated bath tubs and shower rooms. 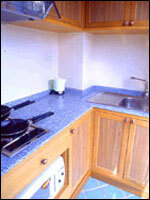 All units have kitchen area equipped with Kitchen Utensils including electric hobs, hoods, sinks, microwaves and larger size refrigerators. 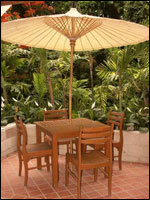 Studios and Executive Studios also have dining area with dining tables and chairs. The rest rooms have separated bath tubs and shower rooms and also the walking closets for your comfort and privacy. All units have private balconies and equipped with standard hotel's facilties and fire safety devices, such as smoke detectors and sprinklers. In room electronic safes are provided in all units for your convenience and safety. All units have kitchen area equipped with Kitchen Utensils including electric hobs, hoods, sinks, microwaves and larger size refrigerators. Executive Studios also have dining area with dining tables and chairs. Each unit's rest room has separated bath tub and shower room. All units have private balconies and equipped with standard hotel's facilities. In room electronic safe is provided in every unit for your convenience and safety. All units have separated bedrooms and living rooms and all kitchen area equipped with Kitchen Utensils including electric hobs, hoods, sinks, microwaves and larger size refrigerators. Family suites’ living rooms consist of living area, dining area with dining tables and chairs, and kitchen area. The master bedroom is separated from living room. All units have private balconies and are equipped with standard hotel's facilities and fire safety devices, such as smoke detectors and sprinklers. In room electronic safe are provided in all units for your convenience and safety. There are also 2 superior rooms designed specifically for handicapped guests. Other facilities for handicapped guests include restroom at lobby and ramp in front of the property.